Babbling Brooke: Babbling Brooke's 5th Anniversary GIVEAWAY!! Five years ago, in July 2008, I decided to start blogging. I was SO SCARED. For months prior, I had thought about starting a blog, but I was terrified of putting anything on the internet. I had this idea that either a) no one would read it, or b) everyone would read it (and judge me!). But I am so glad that I started blogging, because I have learned a lot from it. Creating Babbling Brooke meant everything to me those first few years; it was my complete passion and it gave me a hobby to keep me sane during graduate school. Babbling Brooke gave me a space to write and express myself, and my wonderful readers gave me advice and wisdom that I still cherish. Through the many highs and lows these past five years, I have had this blog; I moved out of my parents' home; I began graduate school and then, two years later, completed my Master's degree; I lost many loved ones - and sometimes I shared my grief here, and other times I took my grief and vanished; I celebrated my first teaching position, and then eighteen months later, I celebrated my full-time teaching position at a local college; I've talked about my pets (a lot! ); I've shared holidays and celebrations; and I have posted many, many pictures of my nails and the many shades of polish that I love. Honestly, I feel like my blog is an old friend, and I am so lucky that I have this diary encapsulating five years worth of my life to scroll through. It is hard to believe it has been five years (time really does fly! ), but I wanted to celebrate this big milestone with a fun giveaway. I love giveaways; they are fun to host and exciting to put together! 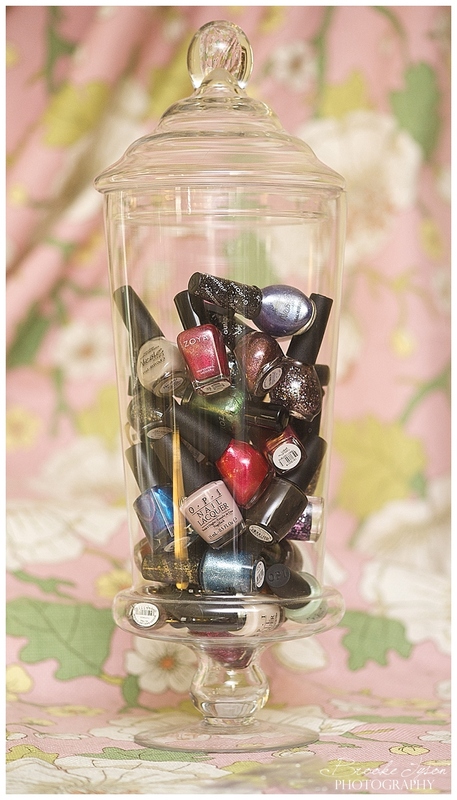 I wanted this to be a really big one too, and since my readers love polish so much, there is a lot of polish! 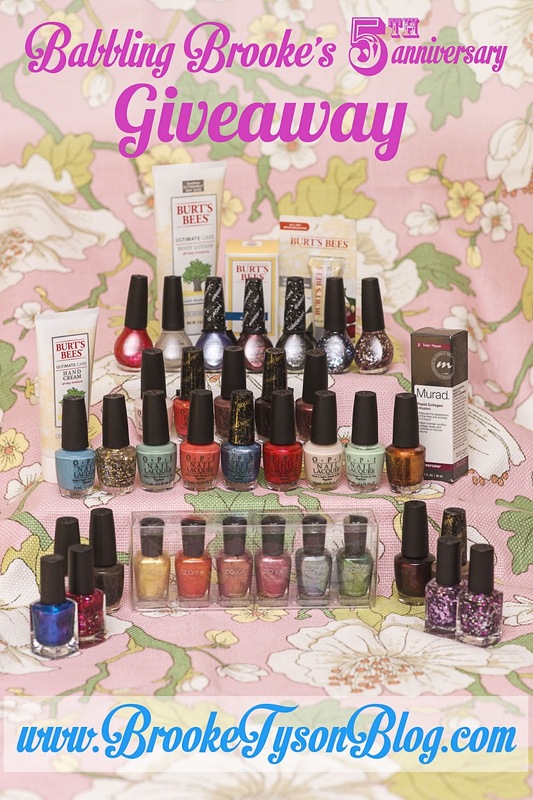 To celebrate five years of blogging, I am giving away 35 bottles of nail polish as well as products from Burt's Bees and Murad! To enter, simply comment below and fill out the following form. You can earn up to eight entries, plus one new entry each day for sharing the giveaway on Twitter! Giveaway ends August 31, 2013 at midnight, and the winner will be announced within the week. The fine print: One winner will be selected after August 31, 2013. The winner will be notified and will have four days to respond. If I do not hear back from the winner within four days, a new winner will be selected and the same process will be followed. Once I hear back from the winner, their name will be announced. Entrants who do not abide by the rules will be disqualified. Winner must have a valid United States addresses within the 50 states. Any entries that do not comply by the rules will be considered invalid. The winner will be selected by randomly choosing a number using a random number selecting tool online. All entries will be automatically numbered by Google docs. This giveaway begins onJuly 24, 2013, and ends on August 31, 2013 at 11:59 EST. 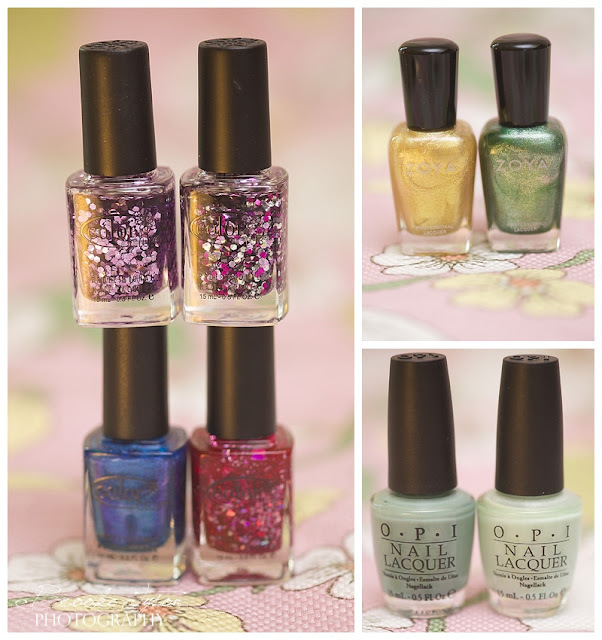 OPI, Zoya, Color Club, Burt's Bees, Nicole, Murad, Twitter, Facebook, and Blogger are in no way affiliated with this giveaway. 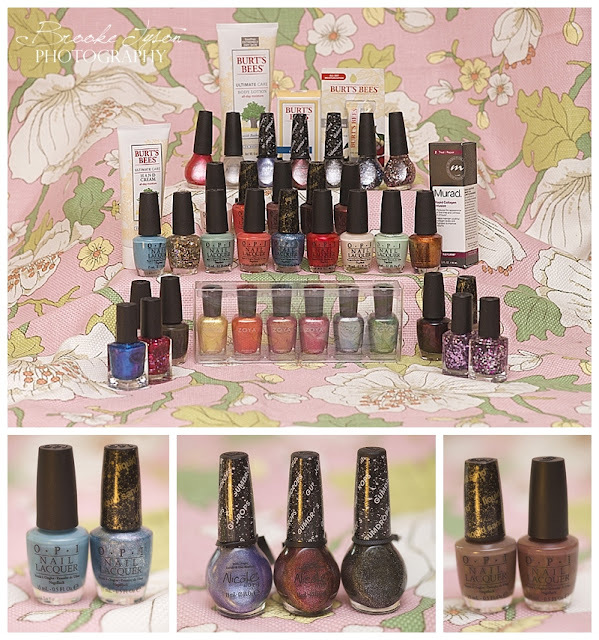 Many of the polishes have been used one time for swatching purposes; others were purchased specifically for this giveaway. None have been used more than one time. 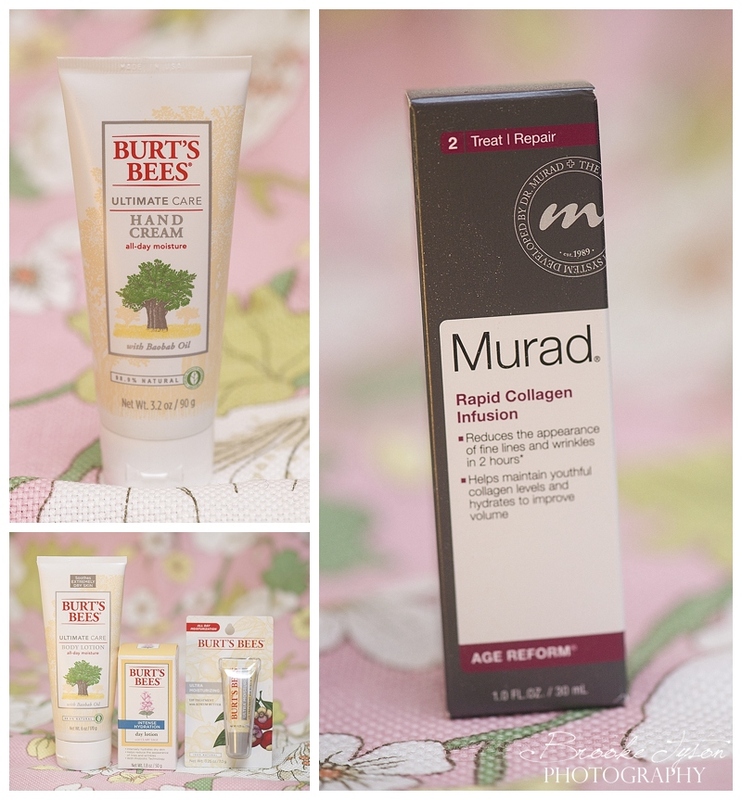 Burt's Bees products were provided by Burt's Bees and are new and never used; Murad product provided by Murad and is new and never used. Apothecary jar not included. Congratulations on your 5th anniversary! I love following your blog. Wow - 5 years, that's awesome! Congratulations! Congrats on your 5th anniversary and thanks for the amazing giveaway. I cant find where to follow by bloglovin - little help?! just recently found your blog - love all the nail polishes! Happy 5th Anniversary! That is really impressive :) THanks also for sharing the love!! Hi Claire, I have Google Friend Connect; I will add a Blog Lovin follow button in the right sidebar! Time flies by when you're having fun! Here's to 5 more years to come! thank you so much for this awesome opportunity! happy 5th year anniversary!!! Happy anniversary!! You were one of the first bloggers I started to follow once upon a time (and one of the few I still visit). Congrats!! I forgot my name and email, too. Shame! Love your blog Brooke, congratulations on 5 years! !